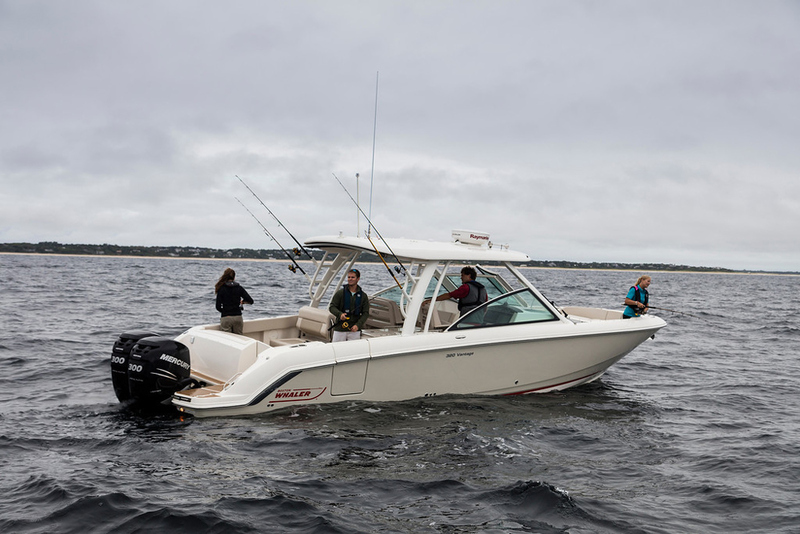 Length Range: 18 - 40 ft.
Die-hard anglers looking for a small open boat will almost certainly choose a center console, and pleasure-boaters who plan to spend their time on the water pulling tow-toys or just tooling around the bay commonly look at bowriders. But many mariners have multiple interests, and this is where cross-over dual console designs come into play. 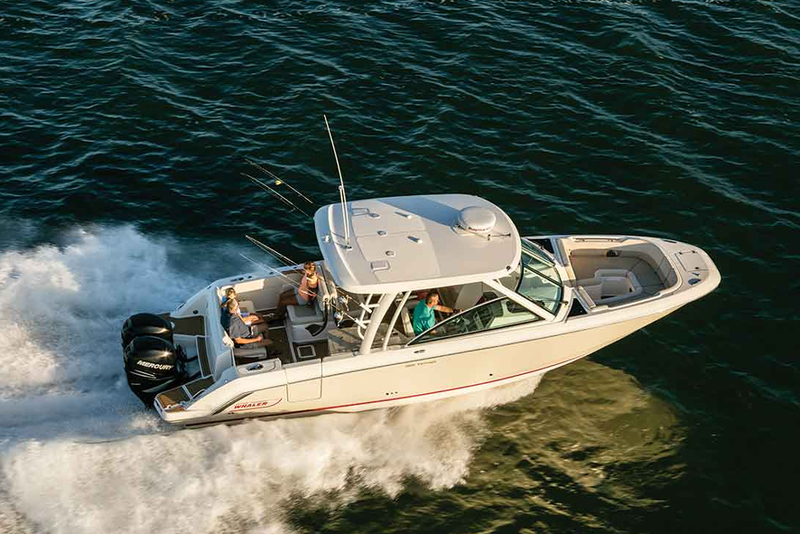 Before settling on this type of boat, however, you should know the good, the bad, and the ugly of owning a cross-over DC. 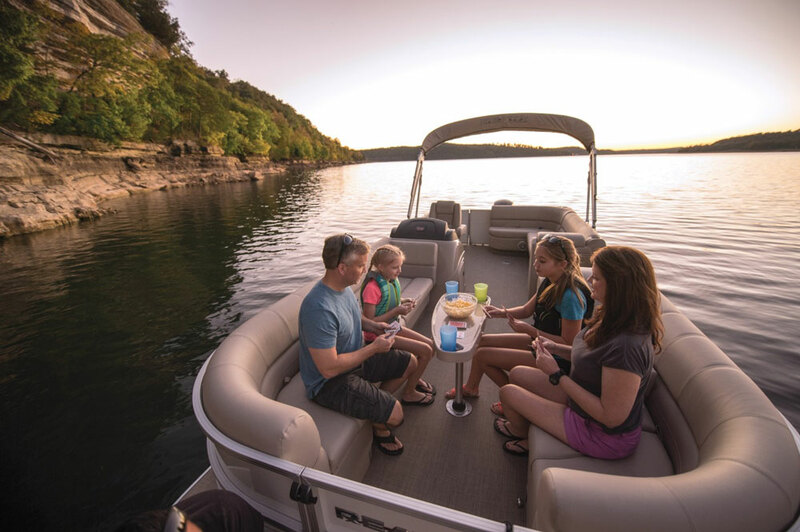 Good: Dual console boats can be used for just about any on-the-water activity, as long as you choose wisely when outfitting them. If you plan to pull water skiers or wakeboarders, for example, make sure you opt for a tow bit or maybe even a tower. But if you also plan to fish, it should be a removable version. Anglers should also beware of hard-to-clean carpet in the cockpit, and instead choose bare non-skid fiberglass. Read the options list carefully, and don’t forget about things like stereos, extra cushions, and cockpit tables - or livewells, raw water washdowns, and rodholders. Bad: It’s true that as a boat gains versatility, it often loses specificity. 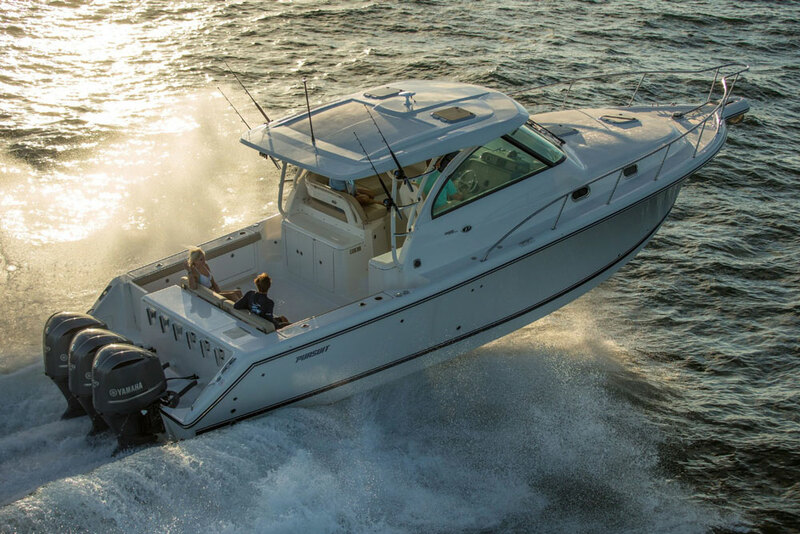 You can’t expect it to be the best wakeboarding boat on the water (since it’s not designed to throw the largest wake), nor can you expect it to be the best fishboat around (since it can’t by definition have raised casting decks, or 360-degree fishability). Recognize that everything on a boat is a trade-off, and the dual console design requires quite a few trade-offs be made. Ugly: Get a DC that’s fully rigged for both water-play and fishing, and you’ll be ordering—and paying for—twice as many options as usual. Good: Most modern dual console boats of 21’ or more have a head compartment in the passenger’s side console. This naturally provides a lot of convenience. Bad: Designing in a compartment large enough for the average person eats up a lot of space. That means there’s commonly less legroom in front of the passenger's side seat, less room in the bow, and a narrower walk-through between the consoles. Ugly: DC console heads tend to be cramped, and have poor ventilation and lighting. You can imagine the results of entering one on a rough day. Good: Because of the open nature of dual console boats, you’ll get plenty of sun and salt air. The bow cockpit is usually great for lounging around, and many models also have passenger’s side seats that fold down into sunpads. Bad: Truth be told, the bow section of many DC’s is too exposed and too bumpy to ride in comfortably, except for on the calmest, nicest days. That means everyone usually has to cram in aft of the windshield, and you can’t necessarily take advantage of those forward seats while cruising. Ugly: Since there’s no center console to attach a T-top, your only option for sun protection is a Bimini top. These get in the way, especially when fishing, and many manufacturers recommend you don’t run at planing speeds with the Bimini erects, due to the extra stress and wear it causes. In other words, on most DC boats you’d better bring plenty of suntan lotion—or be prepared to burn—and if rain is in the forecast, you’ll be getting wet. Good: Thanks to the consoles, bow seating, in-deck boxes, and gunwale pockets, this type of boat often has as much or more dry stowage then either runabouts or center consoles. Bad: Most of the compartments are usually non-dedicated stowage, so you won’t have rod boxes nor board racks. Some level of customization is often necessary, though in some cases this can be accomplished with optional features. Ugly: Few boats of this type have more than one compartment that functions well as a cooler. You may regret that, when your sodas are bobbing around in the same compartment as those slimy stripers you just caught. Good: These days, DC’s are available in much more diverse and larger sizes than they were just a few years ago. 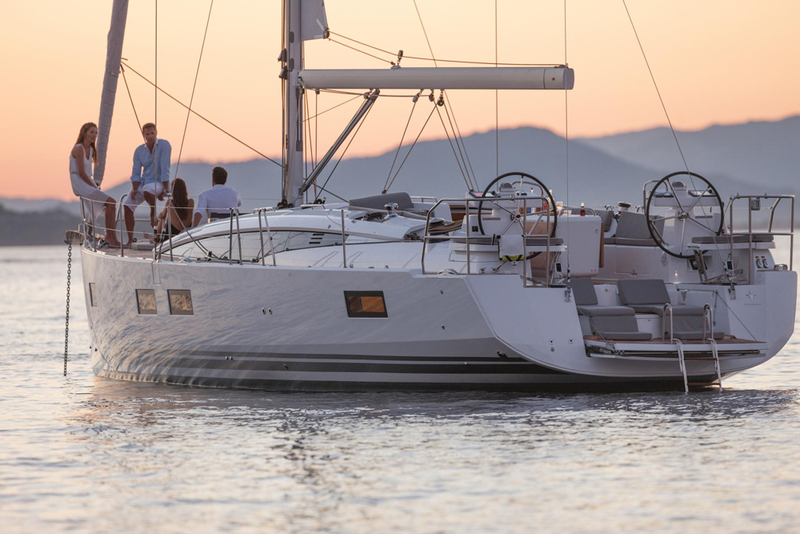 Some 30-somethings are even available, with under-the-deck cabins and gigantic sunpads. Bad: The cabins on these very large dual console boats are often oddly-shaped, and may require some stooping or contorting to move around belowdecks. Ugly: A big DC costs every bit as much as a cuddy or express of the same size, and thanks to complex design and construction challenges, sometimes even more. In fact, a few approach a half a million dollars. For a dual console "runabout". We are not making this up. So, will a dual console boat be the best choice for you? Since you know the good, the bad, and the ugly, we’re hoping you can make the right call.